​Perfectly positioned to provide business and lifestyle convenience within an architecturally significant setting, enhanced with modern amenities, One LaSalle is the premier Central Loop office solution to build your business. One LaSalle is an iconic example of the soaring, streamlined skyscrapers built during the 1920s. Currently one of Chicago’s best surviving examples of Art Deco architecture, One LaSalle’s significant history is evidenced through its distinctive architectural details—from the original brass entrance to the 17 relief panels on the fifth floor exterior depicting America's most famous explorers: LaSalle, Marquette, Columbus, Clark and Joliet, as well as Indian Chiefs, Justice and Atlas. ​On the interior, the ornate elevator lobby features bronze elevator doors depicting full-figured female Grecian characters that symbolize Success and Reputation. 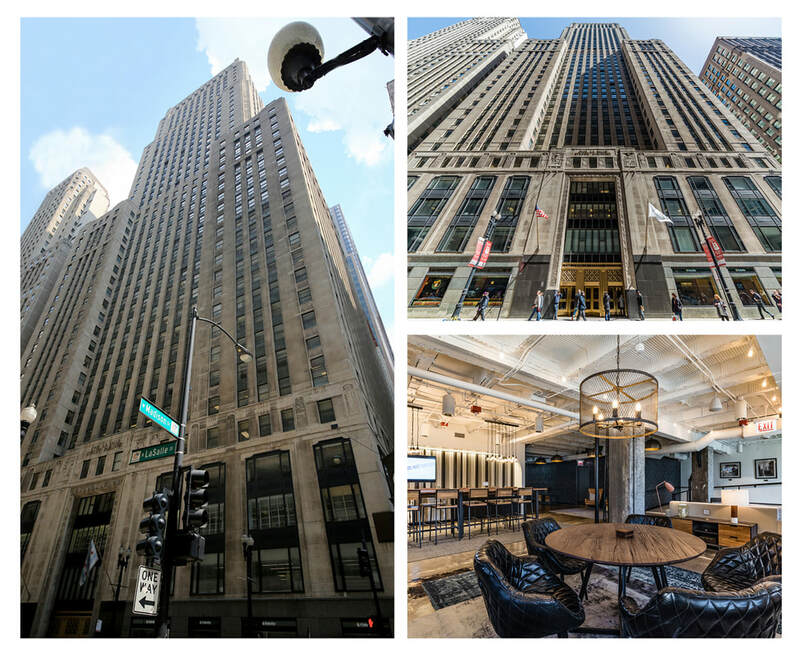 One LaSalle is a landmarked building listed in the National Register of Historic Places and is currently featured on the Chicago Architectural Foundation’s walking tour.